The very first thing I need to say about this Kung Pao Pork is O. M. G. in big, bold, capital letters! 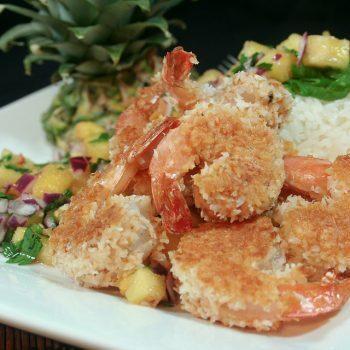 Honestly, I couldn’t believe how good this dish tasted, and neither could my son and daughter. The three of us could’ve easily wolfed down the entire thing straight from the wok! I couldn’t even believe that this delicious fare had just been made in my kitchen and not in that of some fancy Asian restaurant. Let me tell you, when it comes to creating Asian dishes that look and taste just like the real deal, Russ really has got it! 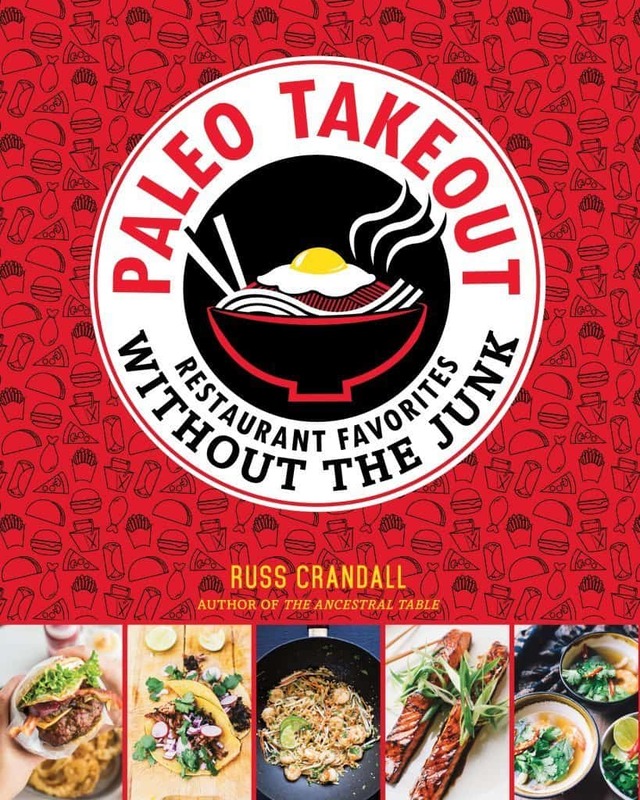 And his latest cookbook, Paleo Takeout, is FILLED with TONS of such amazing recipes, all more delicious looking than the next (seriously, his pictures are all so mouth-watering, I have a hard time refraining from licking each and every page from that book). If you’ve been reading me a while now, you know just how much I adore and can’t resist Asian food, right? Need I tell you then that I am totally, completely in love with Russ’ book? For now, I say let’s stick to the plan and make us some delicious Kung Pao Pork, if you don’t mind. Oh, just one more thing before we head to the kitchen… I feel I need to specify that Russ didn’t ONLY include Asian takeout recipes in his book. It’s just that I like that kind of cuisine so much, I tend to get a bit overexcited when looking at these particular pages. However, you can also expect to find lots of great American Classics such as Pizza, Calzones, Chicken Wings, Burgers, Fried Chicken, Fajitas, Gyros, Tacos, and the list goes on and on. 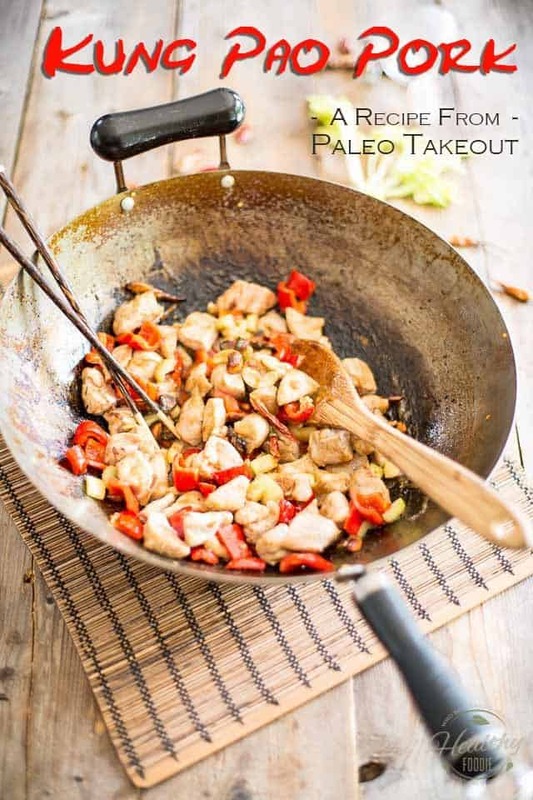 Honestly, I say Paleo Takeout is a book you definitely want to get your hands on… that way, whenever the craving for takeout strikes, you’ll be well equipped to make your own delicious and healthy version at home! Before you do anything, I strongly suggest that you prep all your ingredients. 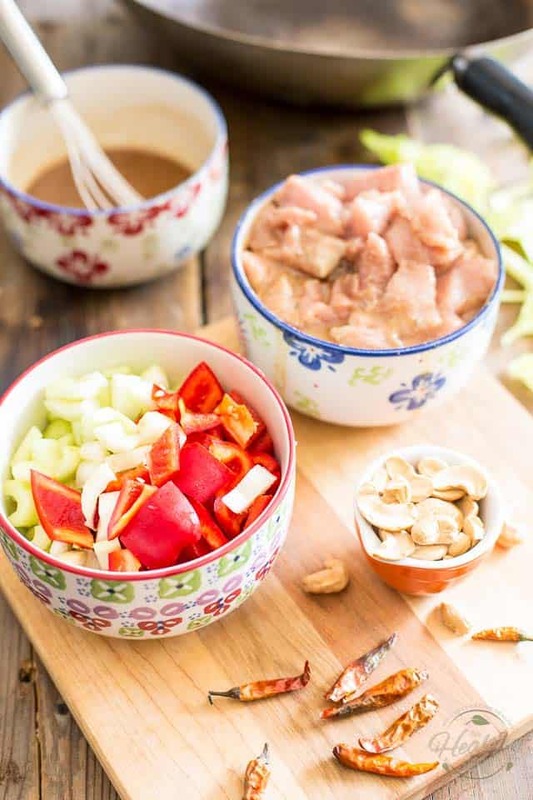 As is often the case with Asian cuisine, once you start the actual cooking process, things tend to go fast. 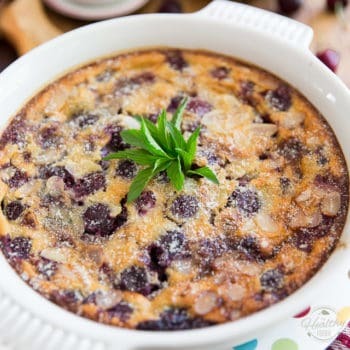 Start by cutting your pork into bite size pieces and then put the chunks in a medium sized mixing bowl. Next, stir together the marinade ingredients and pour half of that marinade over the pork. 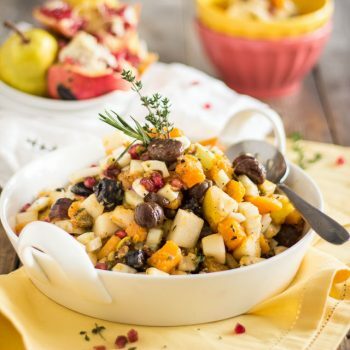 Mix well and set aside to marinate for 20 minutes. While that’s happening, you can work on prepping your vegetables and other various ingredients. 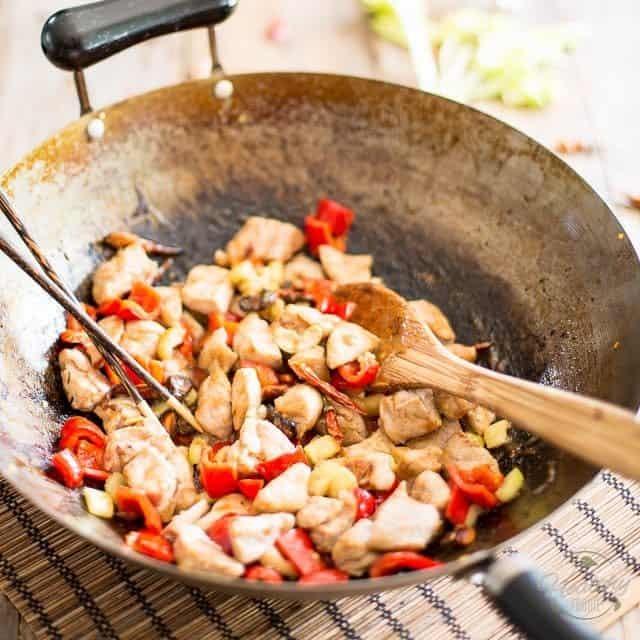 When everything is good and ready to go, heat a tablespoon of coconut oil in a wok or skillet over medium-high heat until shimmering, about 1 minute. 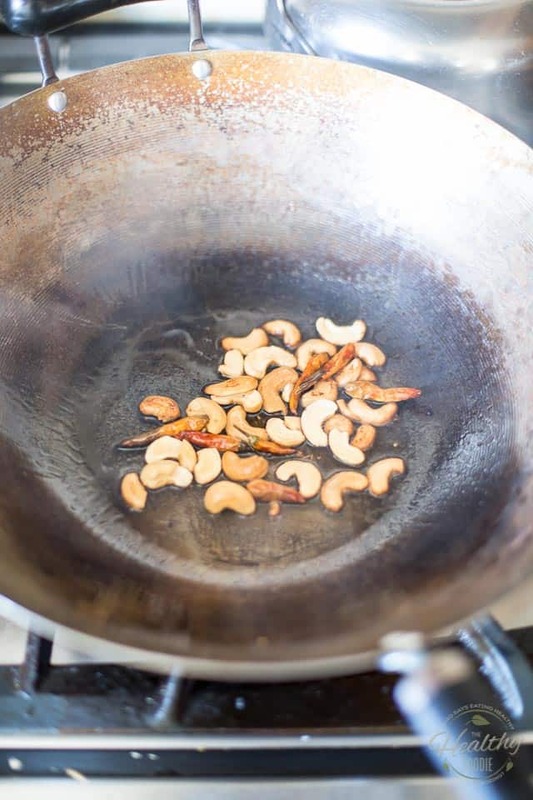 Add the cashews and dried chiles and stir-fry until toasted but not burned, about 1 minute. Add the celery and bell pepper; stir-fry until the vegetables are soft and starting to form charred spots, about 1 minute. 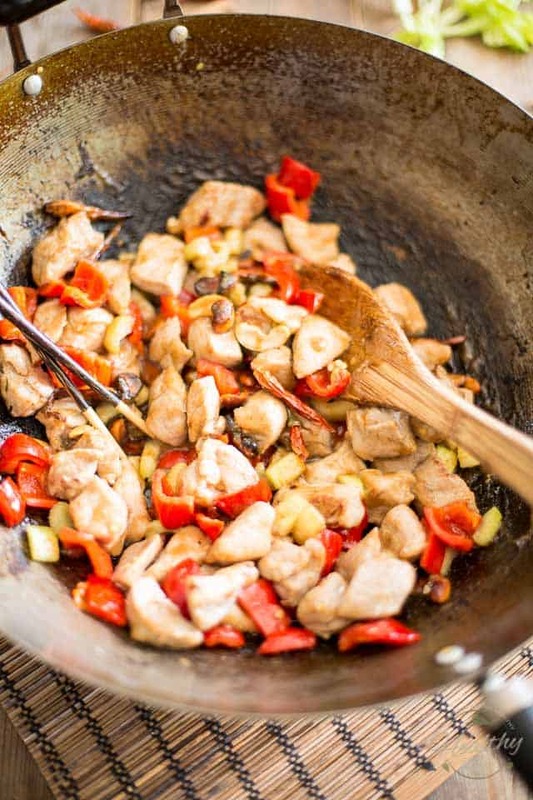 Add another tablespoon of oil and half of the marinated pork to the wok and stir-fry until cooked through and slightly crispy, about 4 minutes, then remove and set aside. 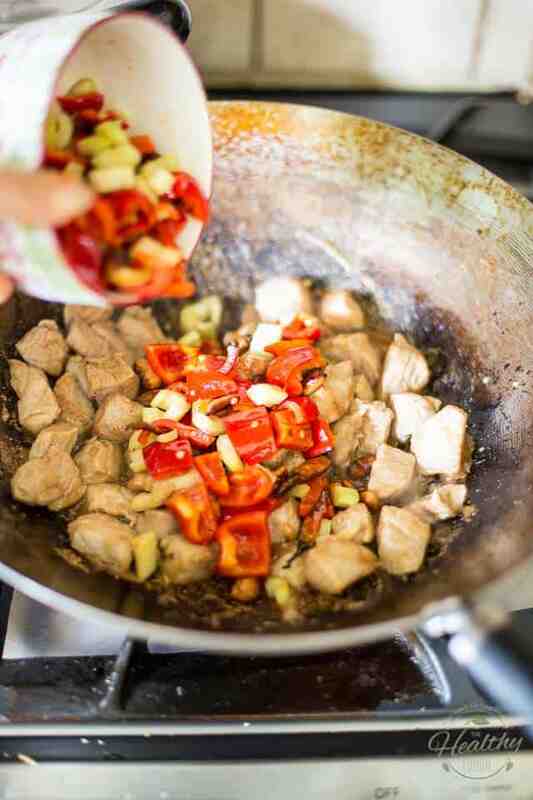 Then, add a final tablespoon of oil to the wok and cook the other half of the pork in the same manner. Return the first half of the pork to the wok and add the marinade/broth mixture. Lastly, add the reserved vegetables and cashews, toss to combine and serve. 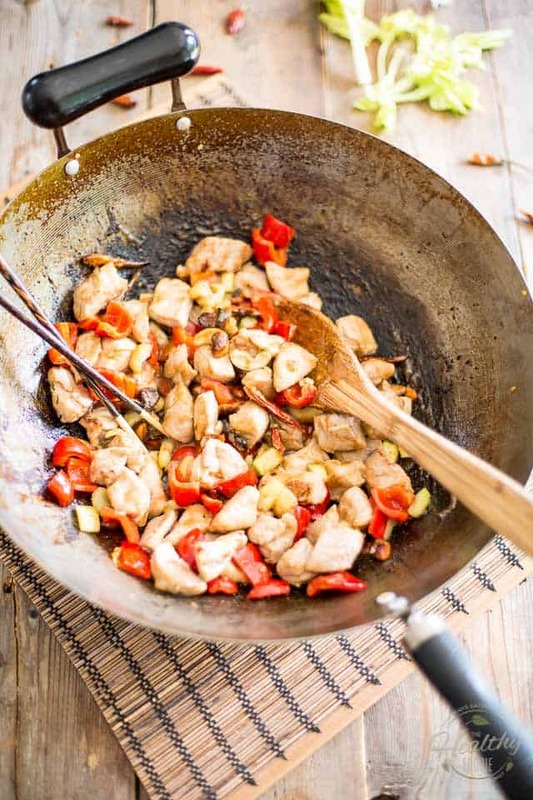 Personally, I didn’t need anything else in my plate, except for maybe more of this Kung Pao Pork… But if you’d like to serve yours with some kind of a side, I find this to work particularly well with steamed broccoli, sauteed vegetables, plain white rice or even served over rice noodles. Stir together the marinade ingredients, then divide the mixture in half. Combine half of the marinade with the pork, then set aside to marinate for 20 minutes. Combine the other half of the marinade with the broth and set aside. 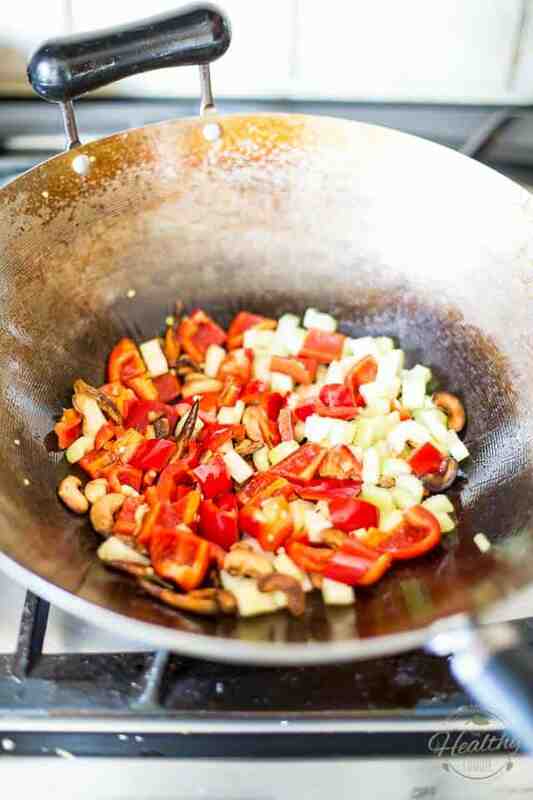 In a wok or skillet, heat 1 tablespoon of the coconut oil over medium-¬high heat until shimmering, about 1 minute. Add the cashews and dried chiles and stir-fry until toasted but not burned, about 1 minute. Add the celery and bell pepper; stir-fry until the vegetables are soft and starting to form charred spots, about 1 minute. Transfer to a bowl. 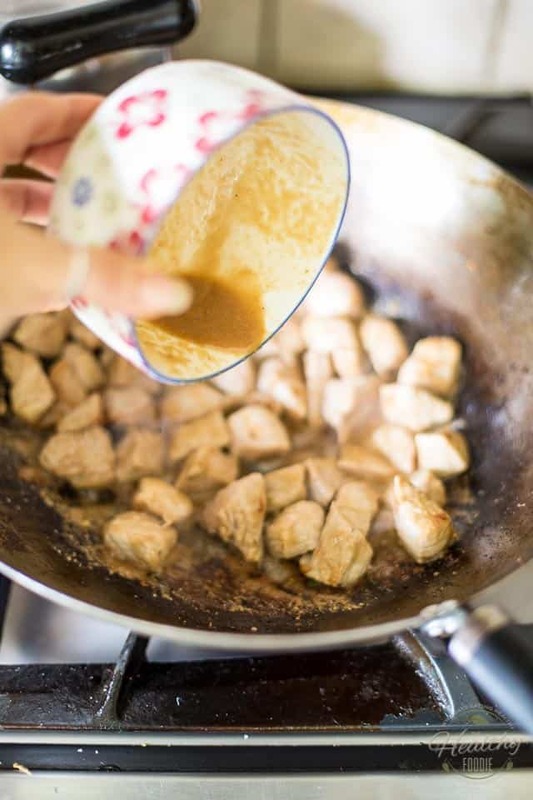 Add 1 tablespoon of the oil and half of the marinated pork to the wok and stir-fry until cooked through and slightly crispy, about 4 minutes, then remove and set aside. 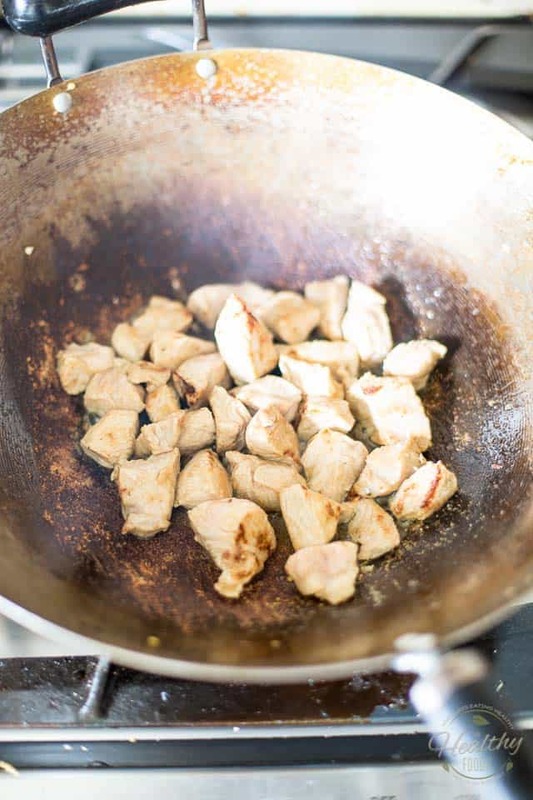 Add the remaining 1 tablespoon of oil to the wok and cook the other half of the pork in the same manner. Nothing about keto really worked for me, Lisa. I felt like I had no energy, I would often feel extremely dizzy and even like I was gonna pass out during my workouts, I felt hungry a lot, especially when on a calorie deficit. While I did manage to lose a few pounds at first, that didn’t last very long… when I started keto, I was eating along the lines of 1900 calories a day, but soon had to up that because I was starving all the time and by the end, I was eating more like 2400 per day. While I wasn’t tracking macros for calories, I had to track my food to make sure I didn’t go over with carbs and protein… And I felt miserable because I didn’t get to eat nearly as much veggies as I’d wanted to AND had to pass on any and all fruit. Plus, I had to be careful not to go overboard with meat and protein. All in all, it’s a philosophy / way of life that I did not agree with. Feeding on fat just doesn’t seem natural, or desirable, to me. I’d much rather eat PLENTY of meat and fruits and vegetables like I’m doing now, while keeping my fat intake relatively low. I currently eat around 1650 calories per day and am feeling fairly satisfied most of the time. I’m not really a fan of the fact that I need to track every single morsel of food that enters my mouth, but at least I get the feeling it’s taking me somewhere this time. My body seems to be extremely resilient and appears to be quite happy with holding on to its little layer of extra fat, I don’t know why that is. I have lost a little bit of weight over the past few months, but not nearly as much as I would’ve liked. I’m still at around 25% body fat, so I have a long way to go if I want to get down to 15%. I don’t know if I have it in me to do what it takes to get there, but I’m taking things one day at a time. At least, I’m not suffering from hunger; I’m eating plenty of good food and enjoying a lovely “cheat meal” about once a week. 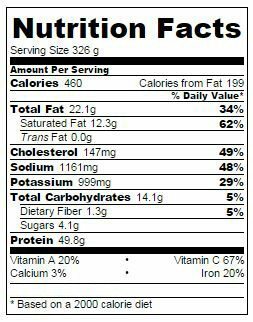 I really wouldn’t know what kind of ratios you need to support your condition, but I’m certainly comfortable with my current “cutting” ratios, which are at 1.2g protein, 0.2g fat and .75g carbs per pound of body weight. Some people may do well while not tracking macros and calories, but I now believe that, for some of us, it’s the only option if we want to get really lean. Unfortunately, eating clean isn’t everything. For me, it looks like it has to be a combination of both! 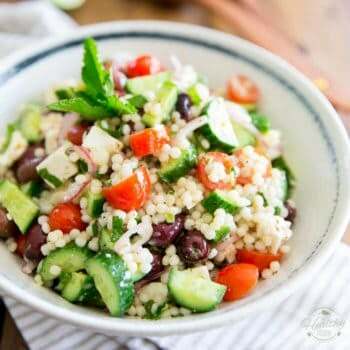 As for you still not losing weight even while being on a deficit, if you keep your body on too aggressive a calorie deficit for too long, it will adapt and your metabolism will slow down considerably. You should never eat below BMR and should try and stick to a deficit no greater than 15 to 20 percent. There are tons of calculators online to help you figure out those numbers, but if you need help let me know, I’ll gladly direct you to my favorite ones. Lastly, thank you so much for your kind words about my knee and my grand-daughter! My knee is recovering faster than I could’ve ever hoped for (thank you Paleo diet and active lifestyle!) and while I try to refrain from posting too many baby pictures, (I mean you guys wanna see food, not babies, right?) I will definitely keep adding more! That little angel is the love of my life! Happy Friday!!! – I would love to hear/see your reply to Lisa above. And – get KUNG PAO PORK in my belly NOW!! 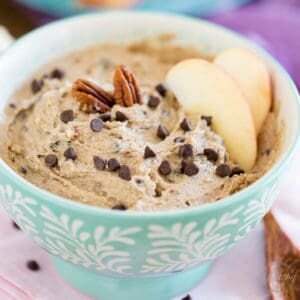 Yum and the fact that I have all these ingredients in my fridge and pantry make for easy reason to make it this weekend!! 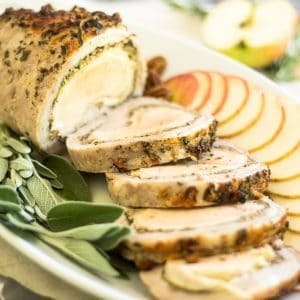 Do you think it would be ok to substitute the chicken broth for beef broth, and the arrowroot starch for either coconut flour or hazelnut flour? Hi! Where can you buy Sichuan Peppers? 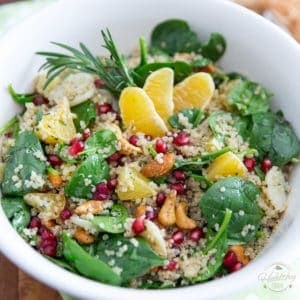 Any recommendations for a substitute if I can’t find it in my grocery store?? Red Jalapenos?